A simple, effective and natural treatment for weight loss. Leave the fat because you can live a healthy and fit life without that. Before going for the treatment description, one should understand the difference between Obesity and Overweight. Both the terms have a difference in meaning, though used for same appearance. Obesity is a situation when fat increases the weight and size. Overweight is a situation when body weight is more than normal due to bones, muscles and body water etc. 1. Lack of Energy Balance :-It is the primary cause of overweight. It happens due to excess consumption of energy and comparatively low use of it. Excess energy gets stored as a fat. 2. Inactive lifestyle :-Our body is made for activities. If a person leads a life that is not active then he / she will gain unusual weight and the body will become slow and heavy. 3. Genetics :-This is an issue which also circulates through one generation to other. If parents are overweight, it is most likely that the child will be overweight. 4. Health Conditions and Medicines :-Some medicines increase the weight while some health conditions like thyroids, diabetes etc. increase the weight. Besides this, some other reasons like emotional factors, smoking, age, pregnancy, lack of sleep, etc. are such causes which can result in unnecessary weight gain. Obesity is a critical problem for those who suffer from it. This problem not only steals the real personality of a person, but also gifts him/her some new unwanted symptoms. It makes a person Slow, Heavy and Prone to Diseases.Heart Problems, Blood Pressure, Type 2 Diabetes, Abnormal Blood Fats, Metabolic Syndrome, Sleep Apnea, Reproductive Problems, Gallstones, Obesity Hypoventilation Syndrome etc. are some of the main issues that are generally seen in over-weighted people. So before the situation gets worse, it is important to get the right treatment. You don’t have to leave your diet, you don’t have to work extra hard, these things could be required when you try to lose weight by home remedies. Our natural treatment is made specially to treat the overweight issue in the natural way. It means, the natural herbs used to make this medicine are selected after testing their effects on restoring the body efficiency and removing odds. 2. Brings body back in shape. 5. Body stays energetic because it improves the body functioning. 7. Release the energy stored in body cells. 8. Improves the digestion system. 10. No side effects risk. This Natural Weight Loss Supplement(Slime XL Capsule) Burns the Excess Body Fat, Balances the Metabolic Rate, and Release the Excess Stored Energy. 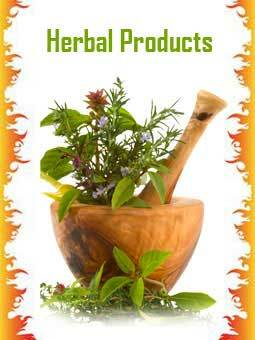 The Medicine is Safe from Side Effects and Keeps the Body Fit for Long Terms Because of the Presence of Natural Herbs.